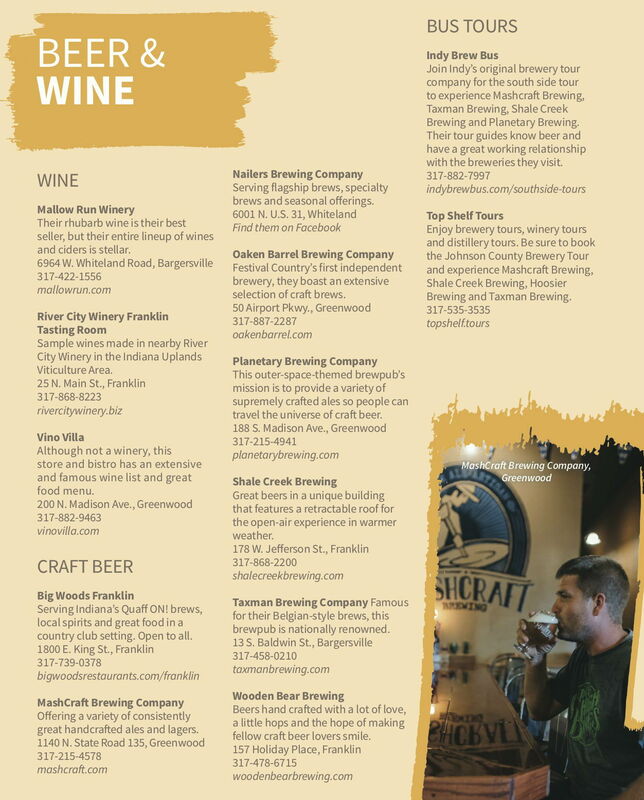 Festival Country Indiana, located just south of Indy, is home to the Festival Country Beer & Wine Trail. Things are a little more festive along this trail, with everything from Mallow Run Winery's summer concert series on Saturdays and Sundays in the summer, to Shale Creek Brewing's unique space with a retractable roof, to bus tours that allow you to focus on the fun. There are also great beer-and-wine themed events, like Death & Taxes Day at Taxman Brewing Company. Check out the trail that will keep you coming back for more.